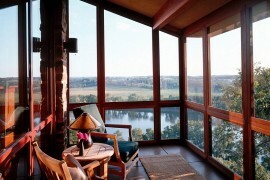 It will not be too long before the last of summer goodness fades away to usher in fall at its colorful best. 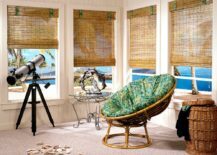 But the memories of a wonderful and warm summer and those lazy evenings on the lawn or even a fabulous holiday on the beach need not become a thing of the past. 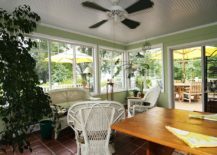 You can still capture some of the summer sizzle and give yourself a perennial retreat right at your home with a lovely tropical sunroom. 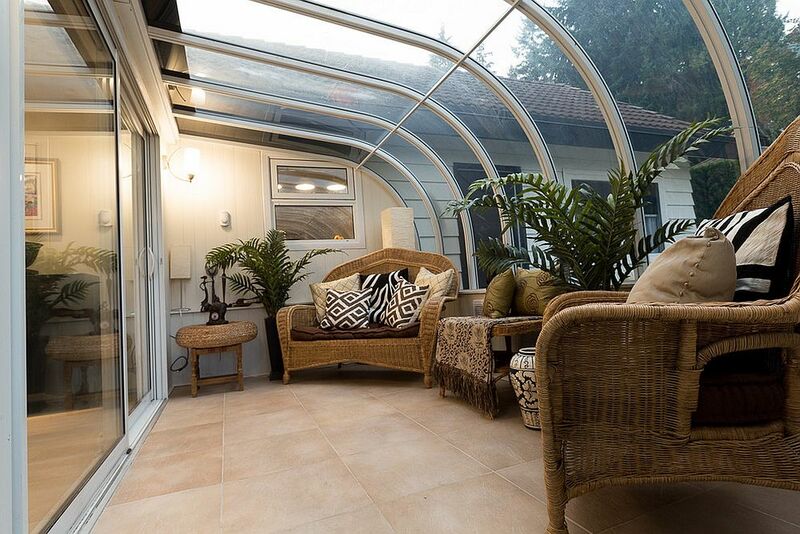 Stylish, relaxing and having an ability to instantly transport you away from the constant hustle and bustle that surrounds you, tropical sunrooms are all about a laid-back lifestyle that connects you with nature. 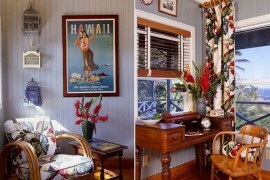 Tropical style in the sunroom is easy to create and work with. 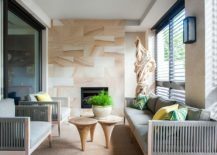 You can always give this style your own personal twist by adding coastal and nautical elements that also bring a beachy vibe to the space. 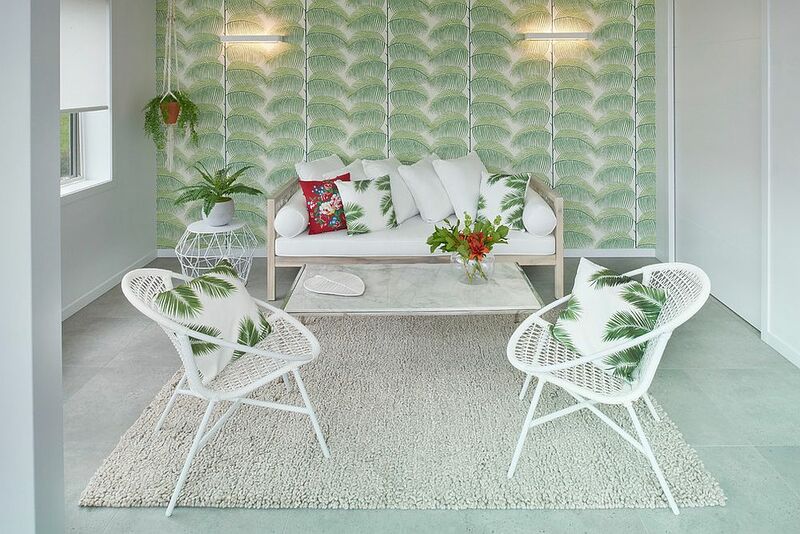 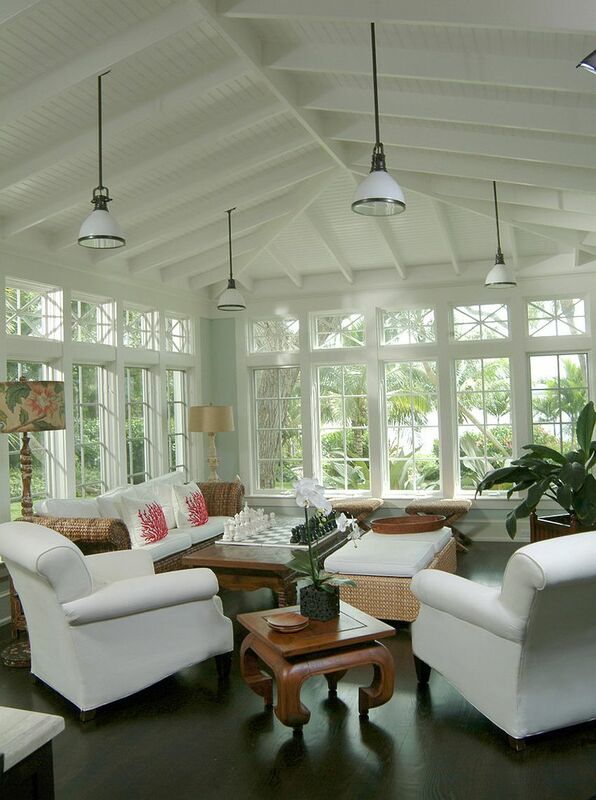 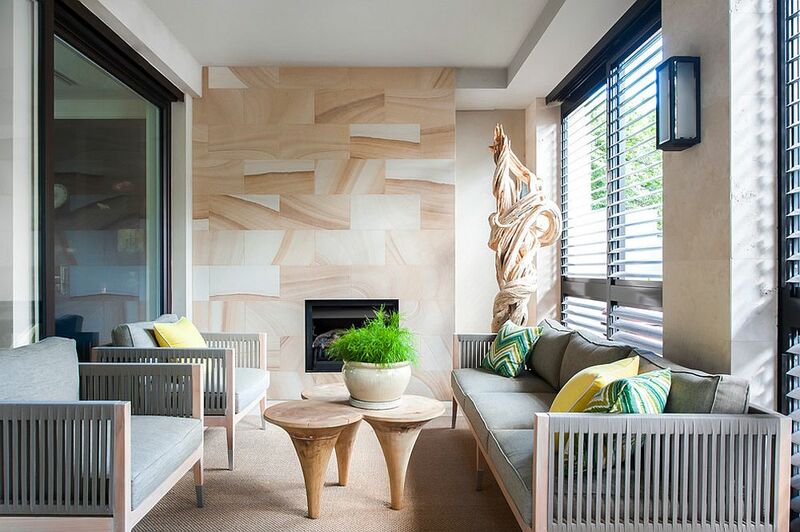 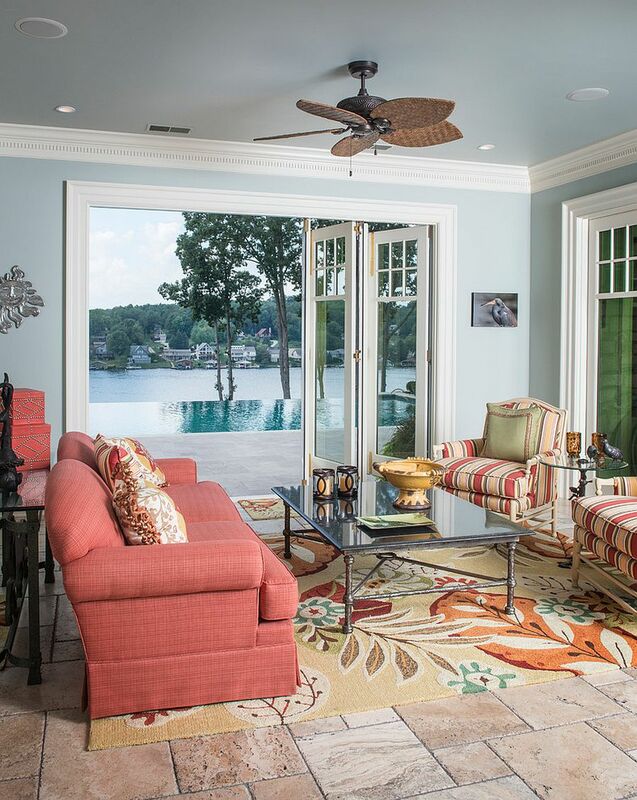 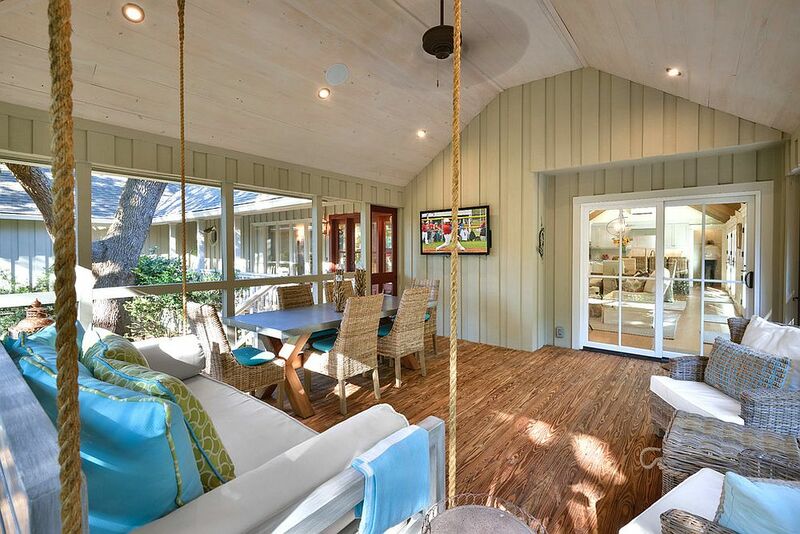 Filled with serene hues, bright accents and tropical motifs, this is a sunroom that celebrates sun, sand and leisure! 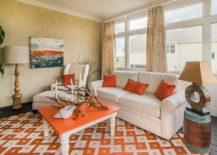 Orange is a color that has been making a mini-comeback of sorts in modern homes in recent years, and the bright hue of Tangerine was even dubbed color of the year by Pantone Color in 2012. This allure of orange is still alive and bright, and the tropical sunroom with a hint of coastal goodness is the perfect place to try it out. 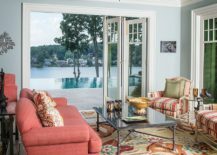 If a shade like Tangerine seems too gaudy for you, opt for more sober and elegant shades of coral and couple them with blue to create an inviting and exciting sunroom. 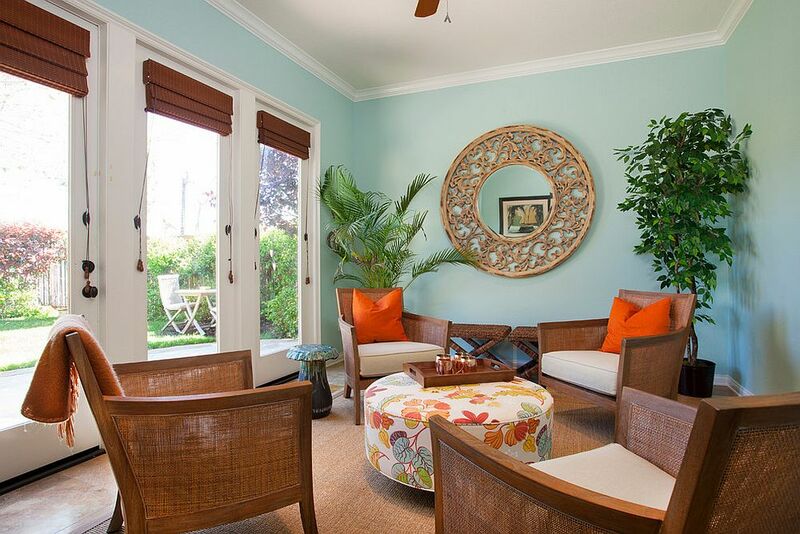 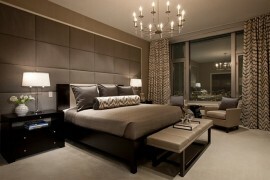 Throw pillows, rugs and side tables can be used to usher in color while still keeping the backdrop strictly neutral. 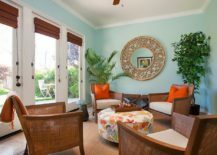 And if you are ever in the mood to alter the style of the sunroom or wish to add more green to the tropical sunroom, then a simple switch of décor and accessories should take you from a setting inspired by the beaches of the Caribbean to one trying to replicate the hues of a dense African jungle. 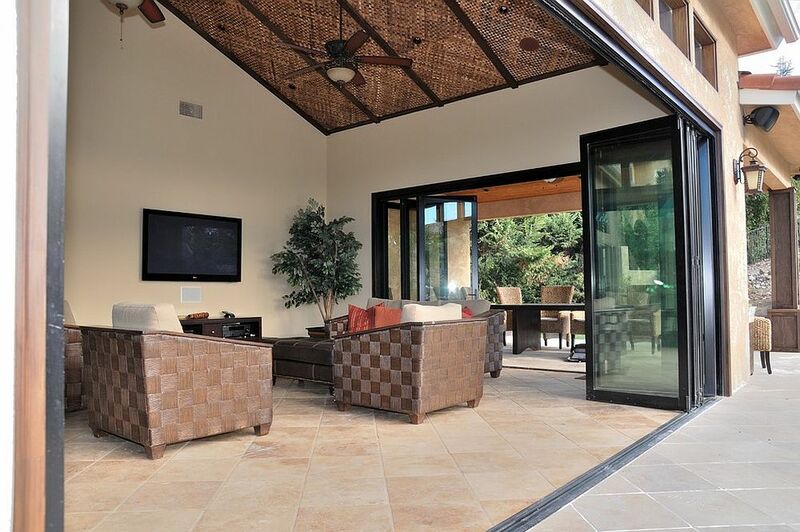 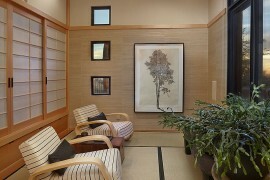 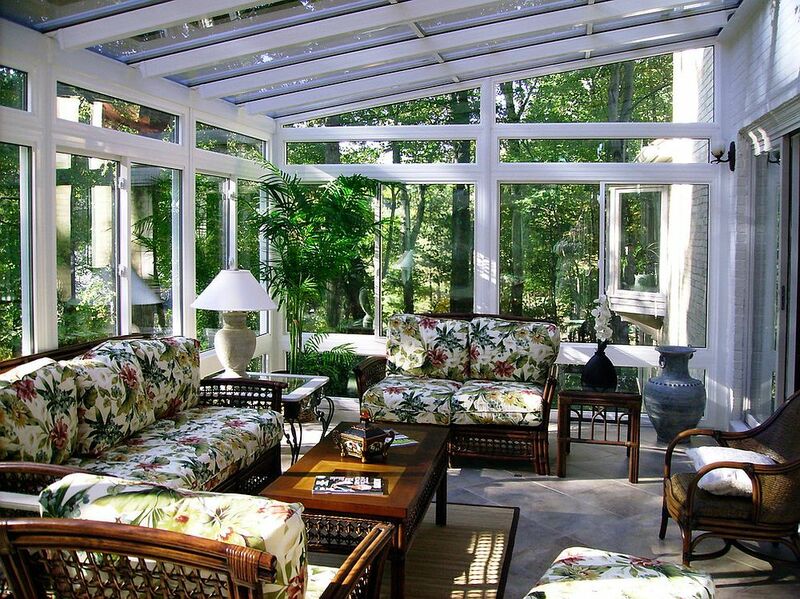 Nature is a very big part of tropical sunrooms, and it is not just about greenery alone. 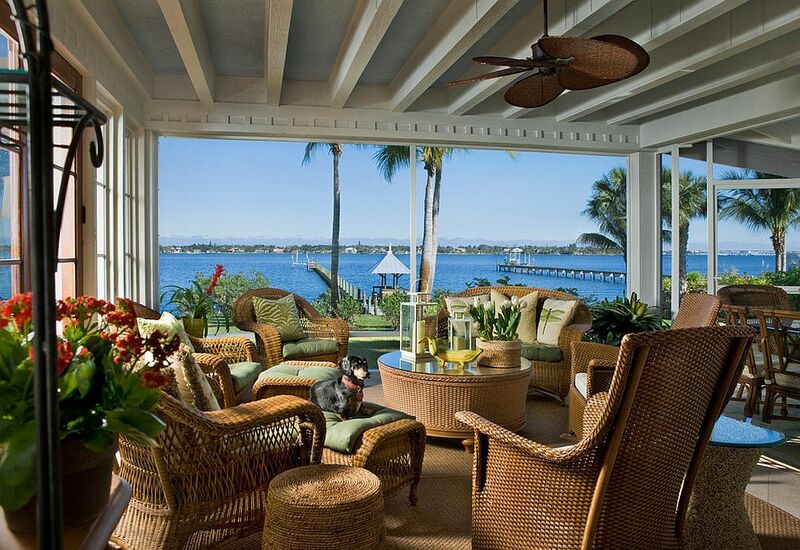 Rattan and bamboo furnishings are ideal for these beautiful spaces. 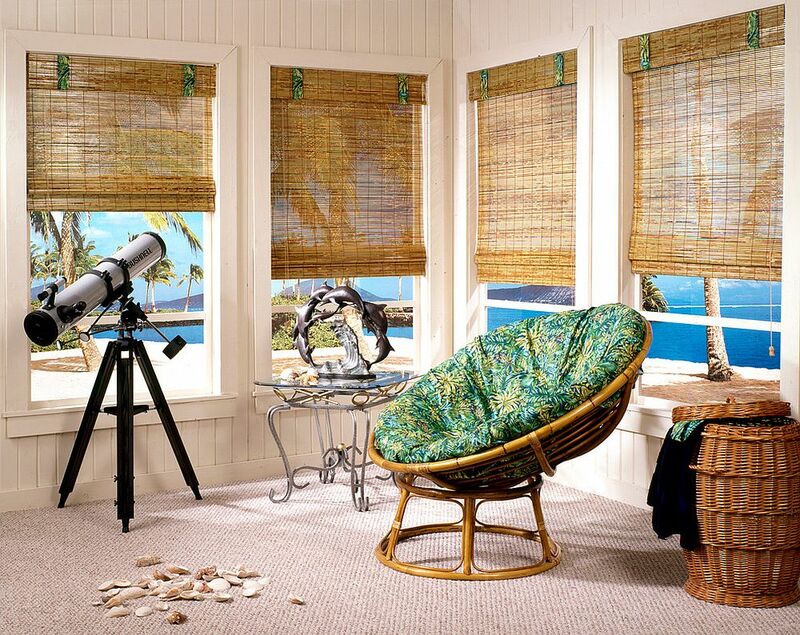 The wide array of outdoor and patio décor currently available offers as much comfort as living room furniture while providing you with smart tables, comfy chairs and fun accessories that withstand direct sunlight. 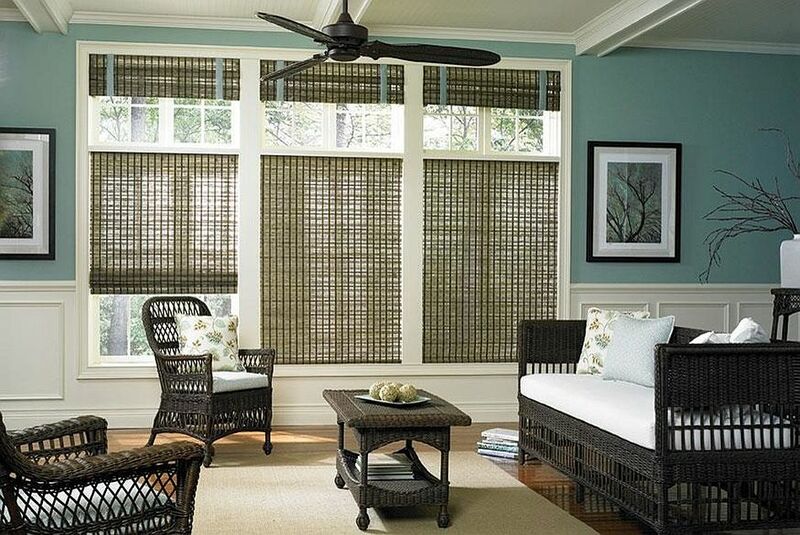 Natural woods also look great in tropical-style rooms, with woven bamboo blinds and shades elevating the overall ambiance to a whole new level. 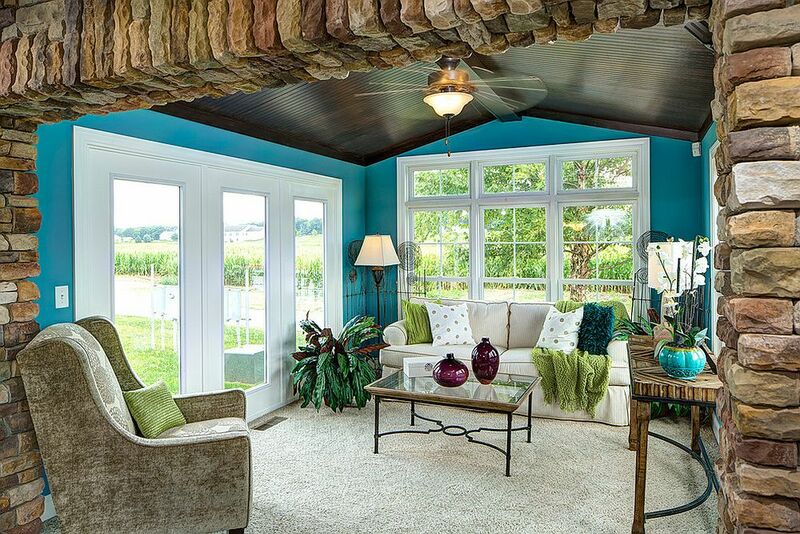 Top it all off with a lovely tropical ceiling fan (often underrated and forgotten) and have a rejuvenating getaway for your next staycation. 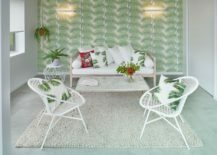 With just a bit of creativity and the smart use of space, even the smallest room or niche in the urban apartment can be transformed into a striking tropical sunroom. 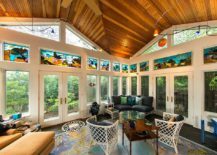 The key here is to create the illusion of space, and if you have a window of glass walls along with a wonderful skylight, then it helps immensely! 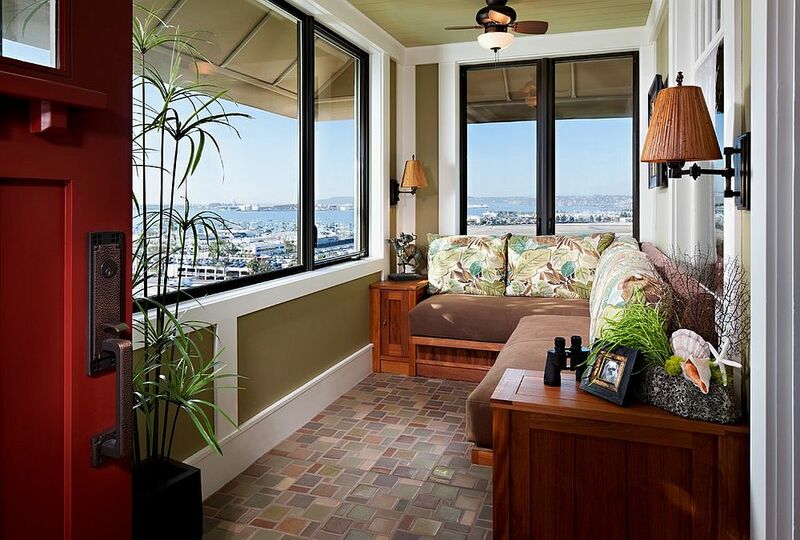 In case you are stuck with a room with more modest natural light, turn to recessed lighting to fill the room with even and bright light. 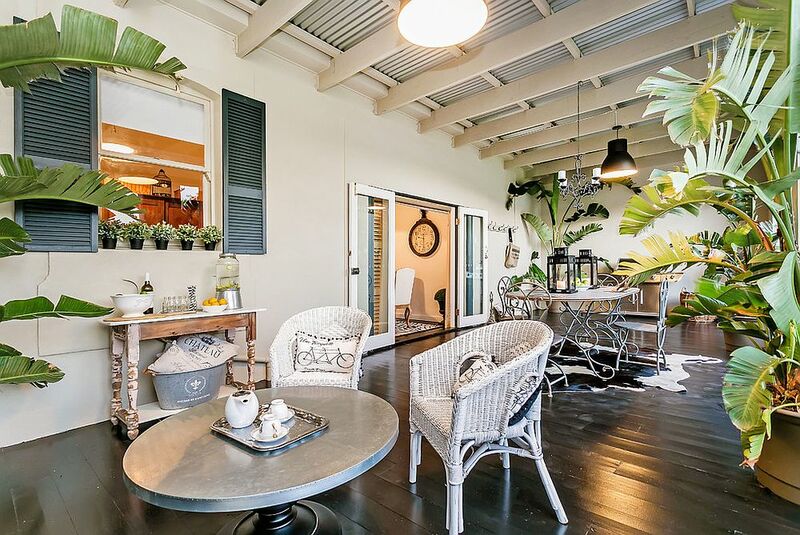 Dark corners can ruin the tropical sunroom. 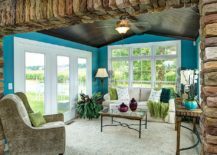 By keeping the décor minimal, freeing up floor space and adding cheerful wallpaper, even the tiniest room can be converted into a delightful sunroom. 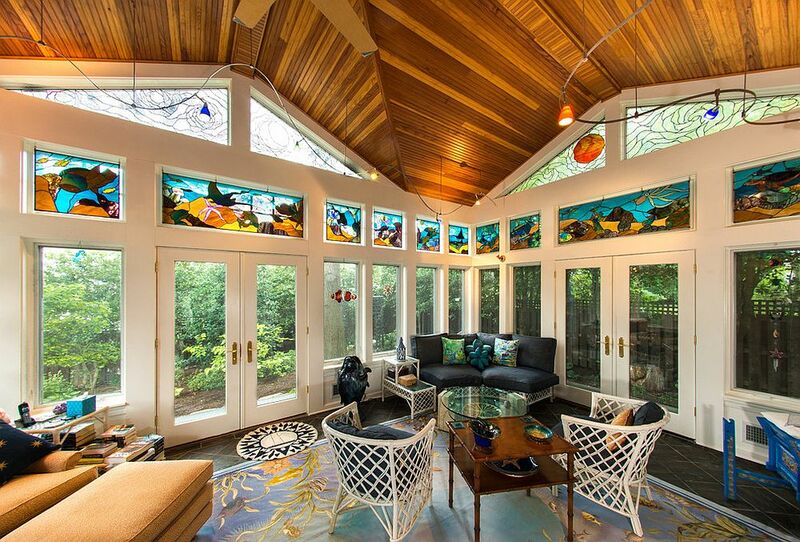 It goes without saying that tropical plants are a must in these sunrooms. 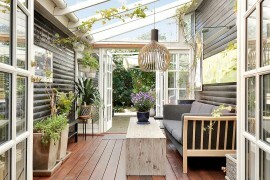 But if you are worried by poor maintenance and local weather taking a toll on these plants, then fill the sunroom with plants that thrive in your region. 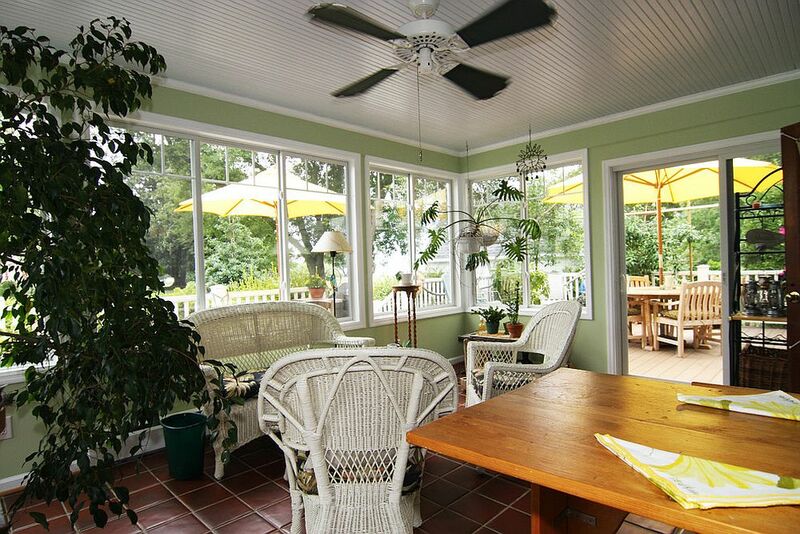 Potted plants in the corners can give your tropical sunroom a big lift and bring in a sense of authenticity to the space. 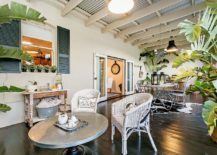 Of course, those living in tropical regions and blessed with a lush green backyard can turn to sliding glass doors and large windows to invite the greenery inside. 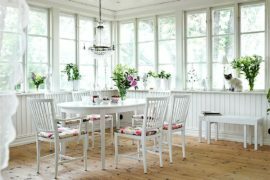 В интеренете нашел классный веб портал , он описывает в статьях про автополив цена.